Hi! I know this may be late for this movie review, but better late than never right? This review will not have spoilers apart from what you may be able to watch via the trailers! Being a fan of the Marvel franchise, this movie did NOT disappoint! It included characters like Quick Silver and Scarlet Witch! Which came to my surprise that they did not use the X-men cast for Quick Silver. But I guess, if they did, they would have had to link both the avengers and X men worlds together. Which was a smart move to create another alternate universe for the Avengers and X men. Following the events of The Avengers, Iron Man 3, Thor: The Dark World, and Captain America: The Winter Soldier, Age of Ultron finds the heroes on a campaign to apprehend Hydra loyalists and secure alien technologies (that have fallen into the wrong hands). This brings Iron Man, Captain America, Black Widow, Hulk, Thor, and Hawkeye to the doorstep of Baron Strucker – a Hydra officer who has been experimenting on Loki’s scepter in the hopes of harnessing its power. 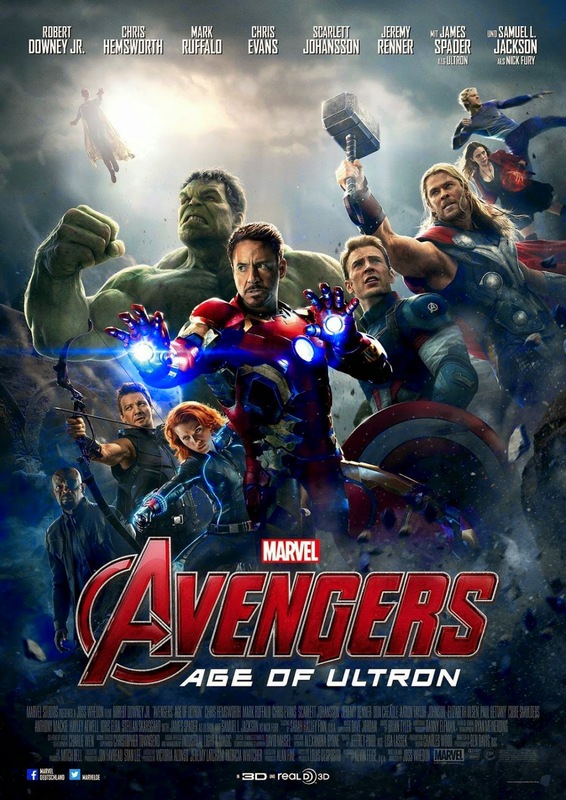 The Avengers: Age of Ultron runs 141 minutes and is Rated PG-13 for intense sequences of sci-fi action, violence and destruction, and for some suggestive comments. I personally don’t read the Marvel Comics to a great extent, and I have always enjoyed the Marvel Universe. However, I found this movie really captivating in terms of the story-line and the team dynamics. It is heart breaking to watch the team breaking apart, knowing they have the same goal of protecting the people in mind. Ultron, a destructive A.I. force hell-bent on playing god, was a twisted character that twisted the core quality of being a hero. I actually enjoyed the Ultron character in this movie very much. He was terribly witty and evil. He pulled the Avengers in new directions and challenge them in unique ways, rather than present an enduring villain on his own.Thats all I can say about it without spoiling. He was the most entertaining character in this movie. There were many dream scenes in this movie that made the movie slightly confusing and slow. BUT, most of the dream scenes did give us more in-depth understanding of each characters, which was an great! I enjoy watching back stories of the characters come to life, instead of reading it after the movie. The build-up of the character Hawkeye gave the audience a greater insight of the importance of him being in the Avengers team. Which was very much needed as even I was having doubts at a guy shooting explosive arrows being an Avengers. Well this movie pretty much sums up why he is worth it! 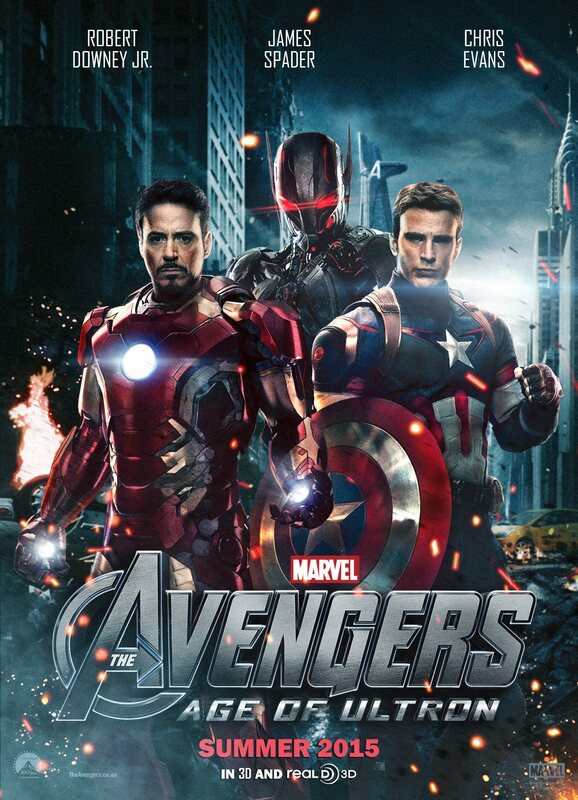 The Avengers: Age of Ultron is solid popcorn entertainment and best experienced on the big screen. The visual effects and environment was well produced. There was also another impressive spinning team shot (this time in slow-motion) that was fun to watch! Anyway, it is a recommended movie to watch!